The history of chiropractic dates back as far as 17,500 BC. Hippocrates believed that a misaligned spine contributed to the health of an individual. Modern day chiropractic goes back over 100 years, when the first adjustment was given by Dr. Daniel Palmer on September 18, 1895. 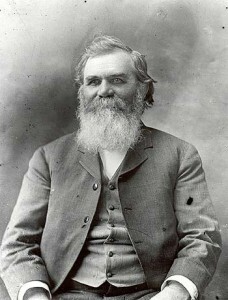 Dr. Palmer, born in Canada in 1845, was very interested in the healing arts and first learned magnetic healing. This form of healing used the magnetism in the body. In 1886, Dr. Palmer opened his first office of magnetic healing in Burlington, Iowa. From there, he went on to open another office in Burlington, Iowa in 1887. His interest was finding the cause and effect of sickness. He studied to discover what causes sickness and what effects sickness has on the human body. The first chiropractic adjustment he gave in 1895 was performed on a man who had lost his hearing 17 years previously. He reported to Dr. Palmer that at the time of losing his hearing, he had strained his back and had heard a noise in his back when this happened. Suspecting that there could be a spinal misalignment, Dr. Palmer examined him and found a vertebra out of line. Dr. Palmer adjusted the vertebra back into position and the man’s hearing improved. This proved Dr. Palmer’s theory that if the spine is aligned correctly, the nerve flow to all parts of the body will work correctly and thus the body will be healthy and free of disease. Dr. Palmer was excited to think that he may have discovered a cure for all sickness. Criticism of this new healing technique came from many, especially the medical community, as it did not involve the traditional medical theory of health. For years, chiropractic was discredited, made fun of, and even referred to as quackery. A lot of this still goes on today, but unfortunately this is due to misunderstanding. Many people do not understand the concept of chiropractic and have only listened to the propaganda that’s been broadcast. In fact, it wasn’t until the early 1970s that insurance companies started to recognize chiropractic as legitimate health care and allowed claims to be paid for chiropractic care. In 1897, Dr. Palmer opened the first chiropractic school in Davenport, Iowa calling it the Palmer Infirmary and Chiropractic Institute. The name was later changed in 1907 to Palmer School of Chiropractic. Enrollment at first was low, with only 24 students in 1906, but today there are over 20 schools with enrollment of over 10,000 students.